Aug. 22, 2017, 10:32 a.m. In March, Mediterrania Capital Partners, a private equity firm focusing on growth investments for companies in North African and Sub-Saharan countries, announced plans to raise €250m for its third fund, Mediterrania Capital III (MC III). 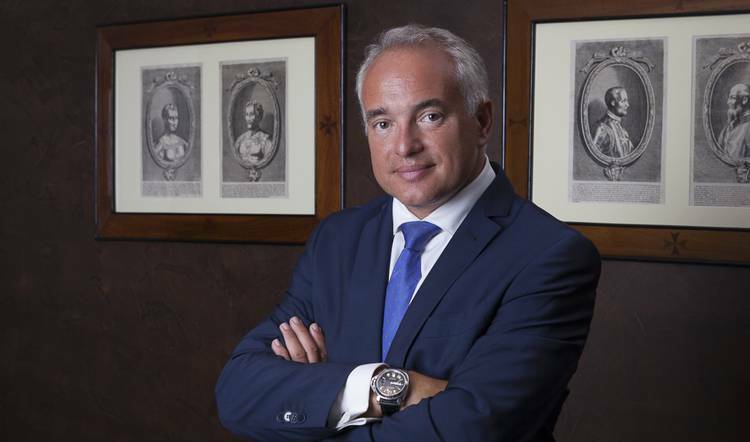 AGF speaks with Albert Alsina, CEO and Managing Partner, on the progress and investment strategy. He says that the first close is expected at the end of 2017 with the final close in June 2018. Alsina says that geographically MC III investors will be coming from Europe, North America and Africa, adding that 50% will be DFIs and the other 50% will consist of commercial investors, funds of funds, pension funds and family offices. “All MC II investors and some MC I investors have committed to our third fund,” he says. According to Alsina, fundraising in Africa declined in 2016, mainly due to the fundraising cycle of the larger PE funds such as DPI, The Abraaj Group and Helios, which completed the final close of their latest funds in 2015. According to AVCA reports, fundraising in Africa dropped from $4.3bn in 2015 to $2.3bn in 2016. “However, we are continuing to see strong investor interest in Africa as the economic trends there continue to be positive. The combination of young demographics, growing disposable income, rapid urbanization trends and GDP growth in several African countries is particularly attractive to the investor community. The strong economies offer more and more strong assets in this market for which PE investment is a crucial mechanism in expansion,” he says. “At the same time, liquidity events are continuing to grow and provide high returns to investors. 2016 had the highest exits in Africa with 48 exits, up from 45 in 2015, and the trend seems set to continue. So yes, definitely there is interest in Africa focused funds with many opportunities for GPs to obtain strong results,” he adds. According to Alsina, Mediterrania Capital Partners has five unique differentiators: fast deployment velocity in top quality assets (MC II will have been fully deployed in 3½ years); Repetitive Value Creation model allows portfolio companies to deliver strong results while setting the right foundations for future growth; low loss ratio and consistent returns focus on Net vs Gross IRR; and strong MC III pipeline with 35 projects, 14 of which are potential co-investments. In addition, the firm has European links that enable portfolio companies to develop partnerships and access potential trade buyers in Europe. Alsina confirms that the fund strategy remains the same as for MC I and II, as a mid-cap specialized company focused on value creation investing in fast growing assets and strong industry sectors. “Before investing, we always ensure that we can generate value from day one by implementing our value creation model and make sure that the exit strategies are clear and agreed with the entrepreneur. Choosing the right portfolio partner is crucial. Investing in a company implies a long journey ahead and having a strong alignment of interests from the start in order to maximize our mutual returns is very important,” he says. Through MC III, Mediterrania Capital will maintain its focus in North Africa, while expanding into selected Sub-Saharan countries such as Ivory Coast, Senegal and Cameroon. Alsina says that the firm’s SSA expansion is focused on those countries, mainly due to their strong trade relationships with North Africa and positive macro- and microeconomic aspects. “Expanding into SSA is the natural move for Mediterrania Capital Partners. Under our management, many of our existing portfolio companies have extended their presence into those markets through acquisitions, creating new subsidiaries, exporting their products and services or creating new agreements with customers and suppliers in these countries,” he says. “In reality, we have already been operating successfully in those countries for the last four years, so raising a new fund that targets selected SSA countries is the natural step forward,” he adds. The firm is planning to continue investing in strong core sectors that benefit from the favourable demographics of the region, a growing middle class with increased purchasing power and rapid urbanisation trends. “Many sectors are driven by the growing purchasing power of the middle class and help improve the lives of the African people as well as providing good returns for the investors. Companies in sectors related to FMCG, Education, Healthcare, Financial, Logistics and Industrial products are filling up our pipeline. At Mediterrania Capital Partners, we firmly believe in supporting the industrialization process of Africa and many sectors directly benefit from this evolution,” says Alsina. “In terms of benefits, the returns we give our investors may be higher than those generated in other parts of the world, and the impact that PE firms like Mediterrania Capital Partners have in African countries and their communities is huge. New jobs, improved working conditions for employees in portfolio companies, better education for younger generations and generally a better future for families as a whole as well as many other benefits. Investing in Africa is highly rewarding in many ways, which is why we are so passionate about what we do,” he says. “African LPs should learn from one another, work together in co-investments and ensure that, as a whole, the PE industry in Africa delivers higher returns than in other parts of the world. This would attract Emerging Market investors that today are currently choosing Asia or Latin America,” he concludes.